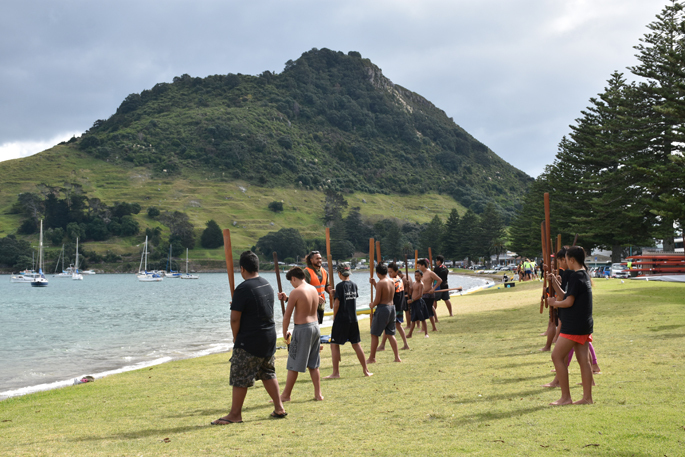 Rangatahi (youth) attending the Koiora programme paddle in a waka out to a traditional pipi bed in Waikorire (Pilot) Bay at Mount Maunganui to learn traditional methods of gathering kai moana. Photo: Supplied. More than 50 Western Bay of Plenty youth are getting back to nature to help improve their health and wellbeing with a kaupapa Māori programme in Mount Maunganui this week. 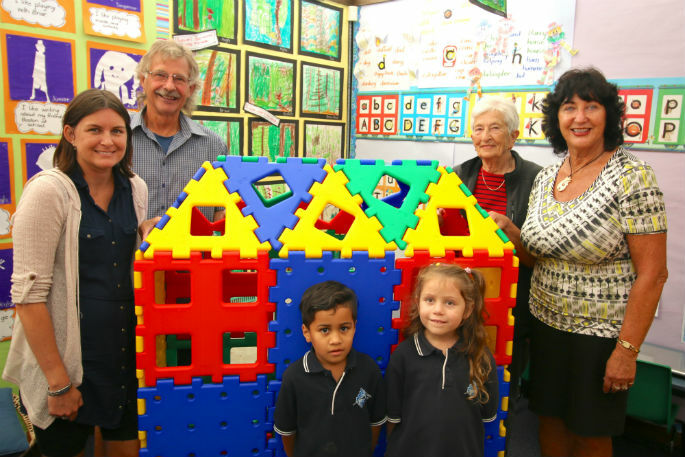 The two-week Koiora programme is offered by Te Rūnanga o Ngāi te Rangi Iwi Trust and funded by the Western Bay of Plenty Primary Health Organisation. 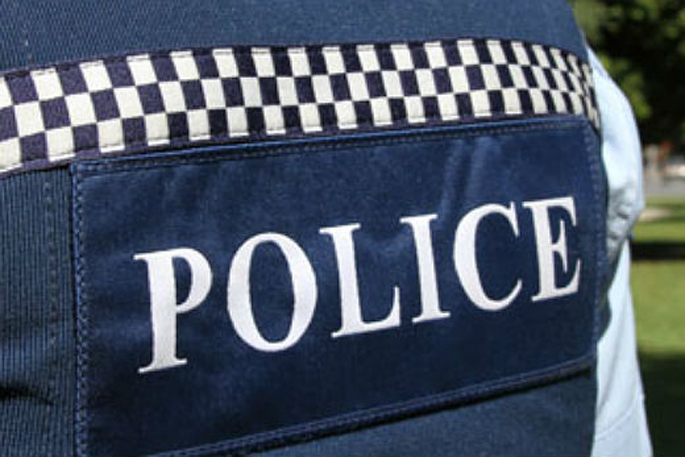 The rangatahi, aged 11-15 years old, are involved in activities such as mau rakau (Māori weaponry), traditional gathering of kai moana (fish and shellfish), water safety, tree planting, food preparation and free health checks with the iwi/PHO mobile youth health service, HbU. They will also have an overnight stay on a marae at Matakana Island learning traditional Māori knowledge; climb local mountains, including Ōtanewainuku, and learn about protecting our waterways in a workshop with local research group Manaaki Te Awanui. 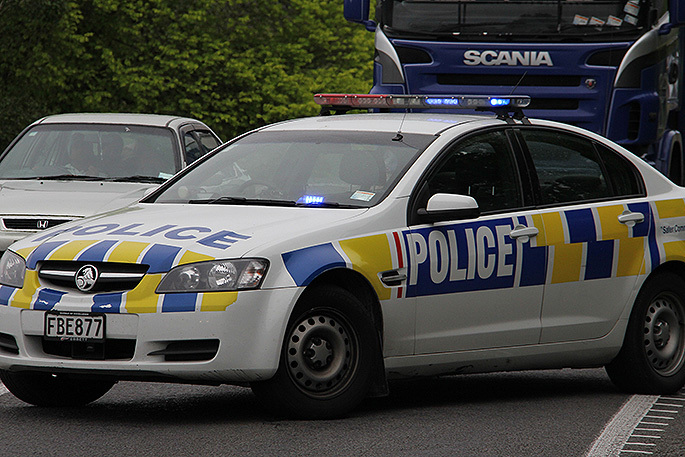 This is the fourth Koiora programme offered since January 2018. 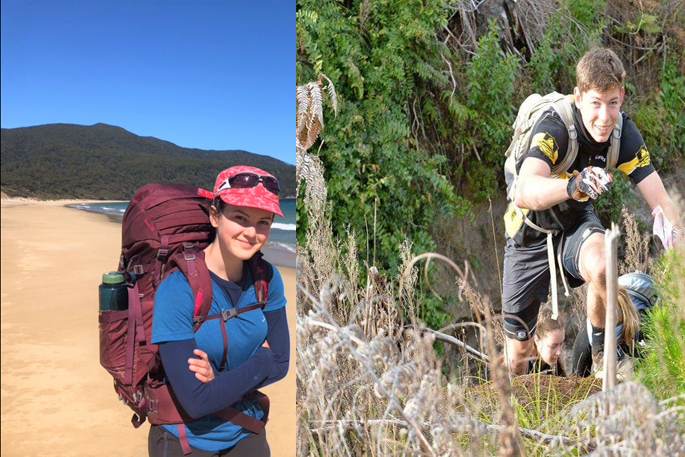 The trust’s rangatahi unit manager, Taurua Faulkner, says the aim is to develop leadership skills by introducing rangatahi to their natural environment. “It’s all about self-sustainability and alternative ways of looking after their health,” says Taurua. Koiora lead facilitator Josh Te Kani says the programme equips rangatahi with essential life skills such as water safety. Shortly after attending the first programme in 2018, one of the participants, a 13-year-old girl, went on to rescue a five-year-old boy from drowning. Western Bay of Plenty rangatahi learn mau rakau (traditional Maori weaponry) as part of the two-week Koiora programme. She attributed her actions to the confidence she gained from learning about water safety. Increasing obesity rates for young Māori has also prompted the programme’s focus on nutrition and wellbeing, with the rangatahi learning how to gather kai and prepare healthy meals. 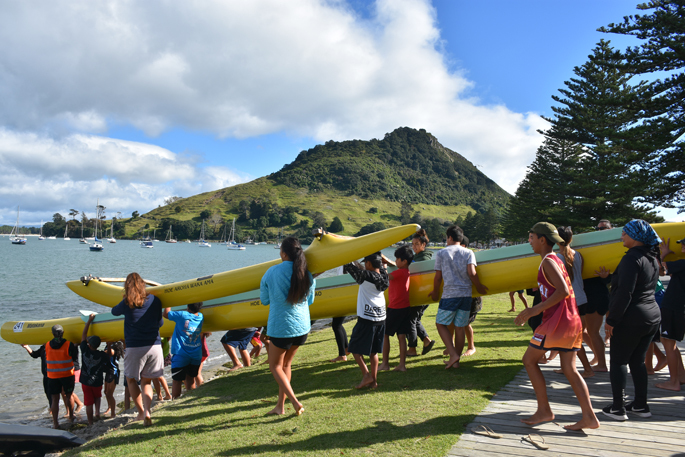 “We have a traditional pipi bed here in the harbour so the kids will get into a waka and paddle out there, getting the physical component and the social by working together as a team to gather the kai. Then they come back and eat that food straight off the barbecue with a bit of garlic butter,” says Josh. The programme concludes with a poroporoaki, or farewell celebration, and is followed up with a ‘Korero Club’ during the school term to see how the rangatahi are progressing with their new learning and goals. WBOP PHO chief executive Phil Back and board co-chairperson Dr Luke Bradford say the Koiora programme is a perfect fit for the PHO, which aims to provide continuous improvement in the health status and the elimination of health inequalities for people of the Western Bay of Plenty.